In 1997, at the tail end of the East Coast/West Coast rap rivalry that consumed the mid-’90s, a little-known Minnesota crew named Atmosphere released their first album, a word-of-mouth effort titled Overcast!. While everyone was focused on New York City and Los Angeles, the Midwest hip-hop scene was gaining momentum, and one of the heaviest hitters of this new independent movement was Atmosphere’s emcee, Sean Daley, better known as Slug. Since then, Atmosphere (Daley and producer Anthony Davis, aka Ant) has grown from a duo of angry kids writing songs about women and substance abuse to chilled-out family men who headline shows with Depeche Mode. Hip-hop, since its birth in the early ’80s, has been predominantly aimed at the youth, and rap fans love to argue that getting old means getting soft. But the genre is still relatively young, and in the past decade, fans have just started to get a glimpse as to which artists are staying relevant and which ones aren’t. In April 2011, Atmosphere released their seventh studio album, The Family Sign. 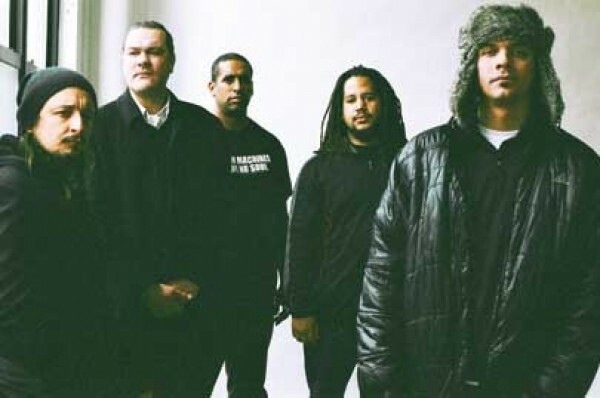 A melodic departure from their sample-based gritty rap, the album has been criticized and labeled as Atmosphere’s “mature album.” But don’t say the word “mature” around Daley. Wednesday, Sept. 19, 6:30 p.m.